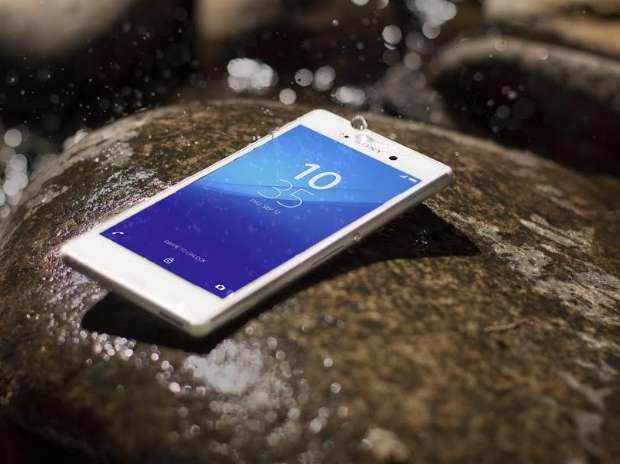 Japanese phone maker Sony on Tuesday launched theXperia M4 Aqua with unique waterproof and dust-resistant features. The M4 Aqua could be an enticing option for buyers looking for a good camera phone with a long battery life. Mukesh Srivastava, head of Xperia Product Marketing at Sony India, called the M4 Aqua Sony’s contribution to mid-range smartphone devices. He stated that the device highlighted Sony’s leadership in camera, design and battery. The Aqua intends to play on the Xperia Z series’ success, especially when it comes to quality pictures and battery life. Like most Sony smartphones, the M4 Aqua’s standout feature is its 13 megapixel (MP) rear camera. The M4 Aqua has a 5MP front camera and boasts of a variety of features. Keeping in mind the immense popularity of “selfies”, Sony has added selfie-editing features along with the usual Xperia camera apps. The phone weighs 136 g and is pretty light. The M4 Aqua has a five-inch high-definition screen with a sharp display. Moreover, when it comes to navigation and user experience, the apps do not appear cluttered. With a 2,400 mAh battery, the phone claims to have a two-day battery life. The primary attraction in the M4 Aqua, however, is its waterproof and dust-tight body, which is being used by the company as the buzzword for promotion. The phone runs Android 5.0 (Lollipop) and is Sony’s first octa-core 64-bit smartphone. It is backed by a Qualcomm processor. The Xperia Lounge content claims to allow ‘seamless access’ as well as the fastest way to download and check information, news, email and exchanging pictures. However, at Rs 24,990, Sony’s attempt to call it a mid-range smartphone might be a little misguided. The M4 Aqua comes in three different colours: black, white and coral, and will be available at all major Sony centres apart from the regular electronic stores and major e-commerce websites across India from today. Sony also took this opportunity to introduce the Xperia C4, which is being hailed as a pro-selfie phone by the company. The C4 will be launched in mid-June. It is priced at around $465 in the US. The India price of the device is yet to be confirmed.